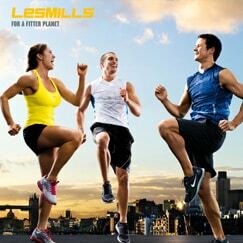 Les Mills BODYATTACK® is a high-intensity cardio workout designed to build strength and stamina. This high-energy class combines sports-inspired athletic aerobic movements with strength and stabilization exercises. Dynamic instructors and powerful music motivate you towards attacking your fitness goals – from the weekend athlete to the hard-core competitor! With BODYATTACK® you’ll get a 30-minute express cardio workout, which is all about improving your speed, fitness, strength and agility. You’ll love the group dynamic at the heart of the class, and thrive on the sports-inspired high energy training. 1)Your Group Fitness instructor will guide you through a warm-up, with big, simple aerobic moves. 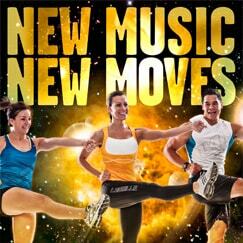 An increasing range of moves will gradually get more intense. 2)Then you’ll really get into the zone with intense peaks, each followed by recovery and conditioning tracks that focus on your upper and lower body individually. Dig deep and push yourself through! Have some fun with class interaction, and test your speed and agility. 3)Winding down as you reach the end of the class, the final track will give you time to recover and stretch, as you congratulate yourself on a job well done. 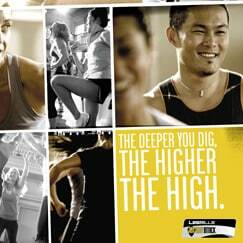 BODYATTACK® is for everyone with moderate fitness levels who want to get fit, fast. The moves are simple and you don’t need flawless coordination, so give it a go! Please wear gym shoes to support the choreography you’ll be doing in the class. We recommend cross-trainers instead of running shoes, because they’ll give you better foot support for the types of movement you’ll be doing. Apart from that, bring a drink bottle and a towel – because you’re going to get sweaty!